The ‘Pandanus’ is the marriage of the ‘Banana’ with the ‘White Wicker’. It combines the elegance of a two tone contrast, braided with dried sustainable fibres. Together with the durability of Wicker, this is a popular and eco-friendly choice. Pandan is grown in tropical climates, and ours are sourced from Indonesia. The plant is recognised by its long and skinny green leaves. While many natives use it as an ingredient in cooking due to its aromatic scent, it is also a strong material used for weaving furniture. Pandanus leaves are roughly two to three metres long and about five to eight metres wide. 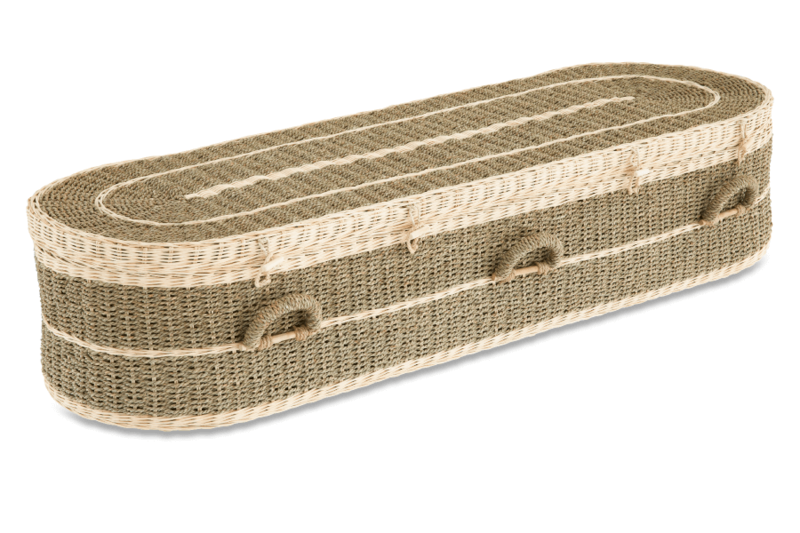 Once the fibres are extracted from the plant, it is the most eco-friendly raw material to craft caskets. 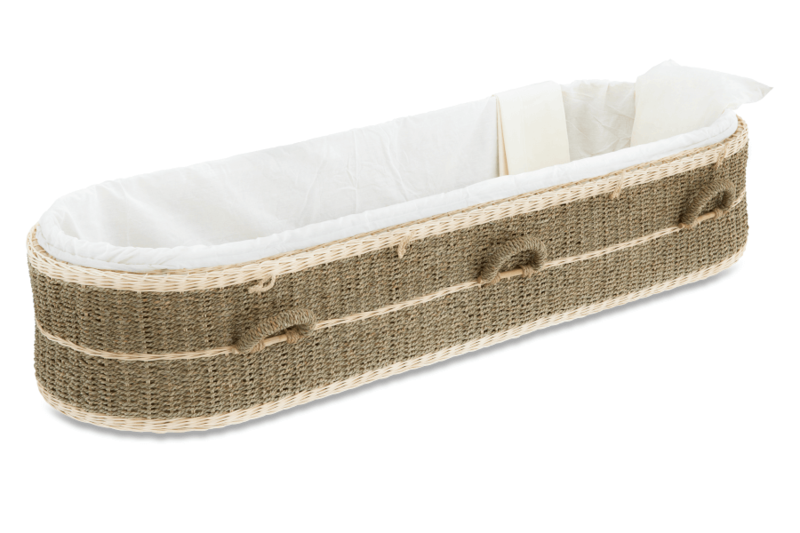 All our Greenature range is lined with bamboo fibre lining and a pillow filled with natural plantation pine wood chip for an eco-friendly finish. The caskets are skilfully hand woven in Indonesia by WFTO approved artisan craftsmen.